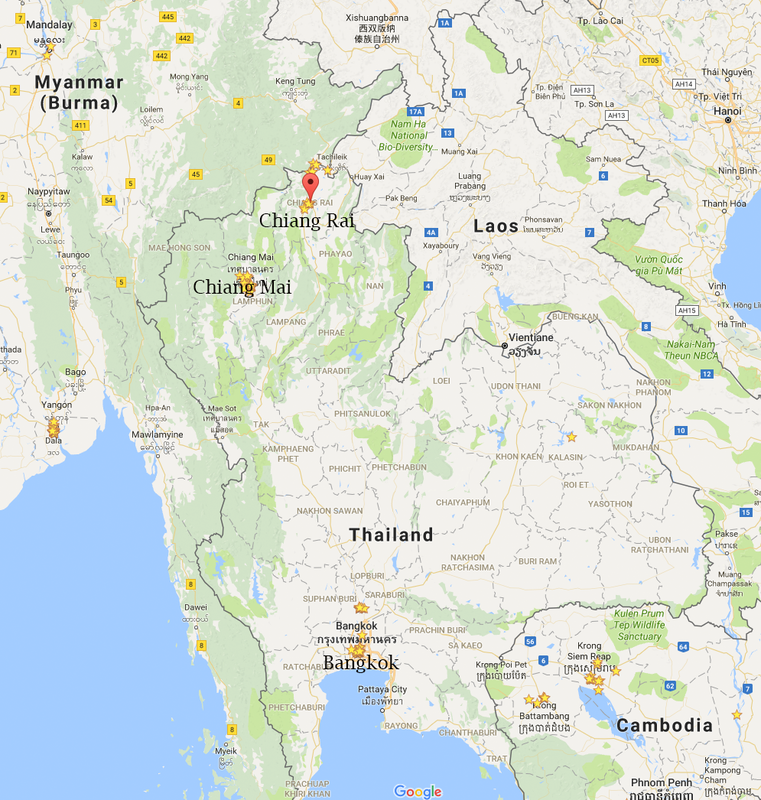 Chiang Rai, a city of almost 70,000 in Thailand, is often missed by visitors to the country. 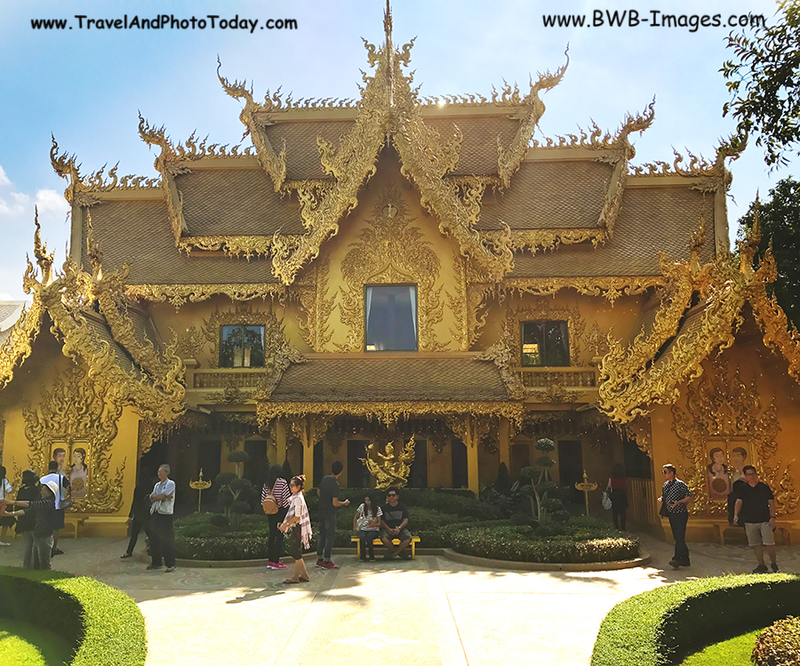 Almost all travelers to Thailand visit Bangkok before heading south to the beaches or else turning further inland to Chiang Mai which is 360 miles to the north. 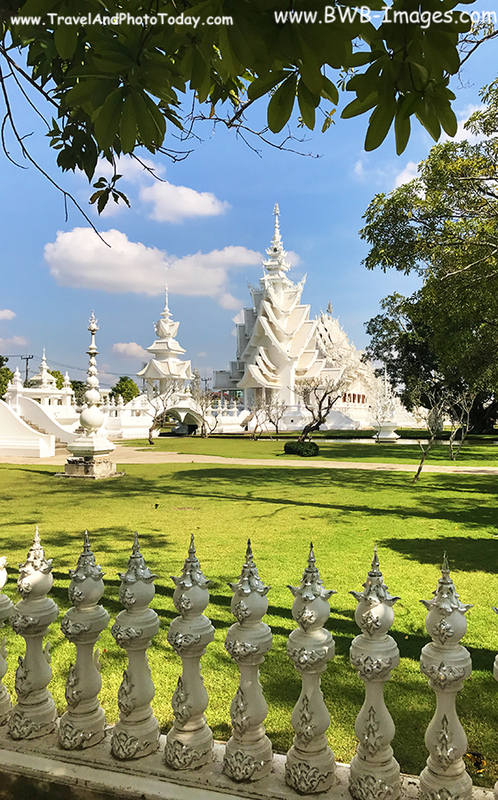 Chiang Rai is another 100 miles north of Chiang Mai in extreme Northern Thailand near the Myanmar border on the northwest and the Laotian border on the east. Visitors who venture to this northern area of Thailand are rewarded in many ways.Travelers to Chiang Rai have the opportunity to explore and visit the beautiful countryside, temples and hill tribes without the crowds of tourists encountered in other areas. 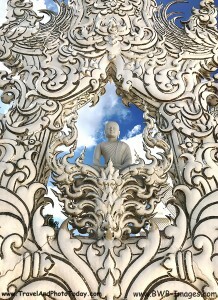 Wat Rong Khun, also known as The White Temple, is perhaps the single best known venue in the immediate Chiang Rai area. 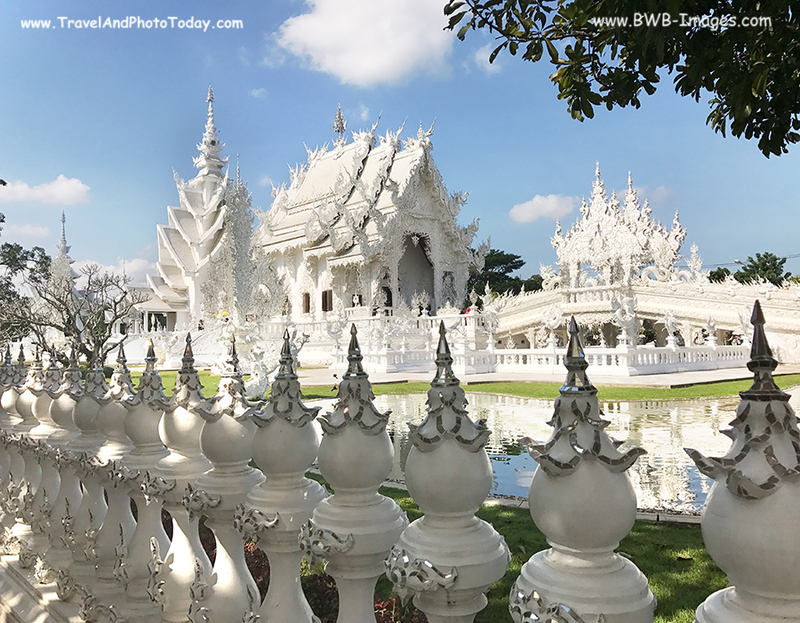 Only fifteen km southwest of the city, it’s only a short 20 minute tuk tuk ride from the city to Wat Rong Khun. Likely the most recognizable temple in all of Thailand, Wat Rong Khun is actually a new construction. 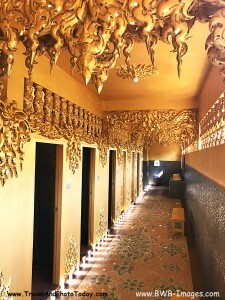 The temple is unique with white color and the use of pieces of glass in the plaster resulting in a dazzling and sparkling in the sun appearance. The white color signifies the purity of the Buddha, while the glass symbolizes the Buddha’s wisdom and the Dhamma, the Buddhist teachings. 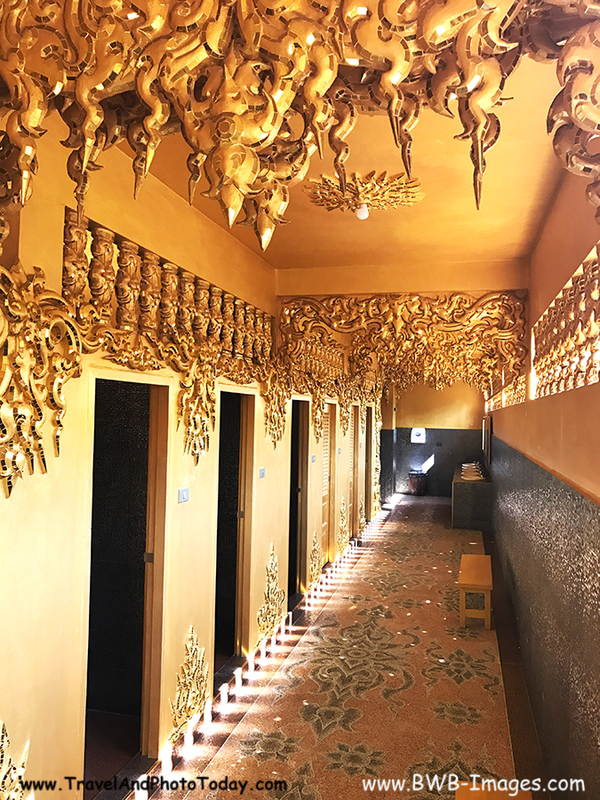 Built and funded by Chiang Rai artist Chalermchai Kositpipat, it serves as a center of Buddhist learning and meditation. All of the buildings in the temple area are striking but not all are white. Take for example the golden structure pictured below. Although beautiful and ornate, it is not a temple structure per se. Rather it is actually the building housing the public restrooms which are equally golden. 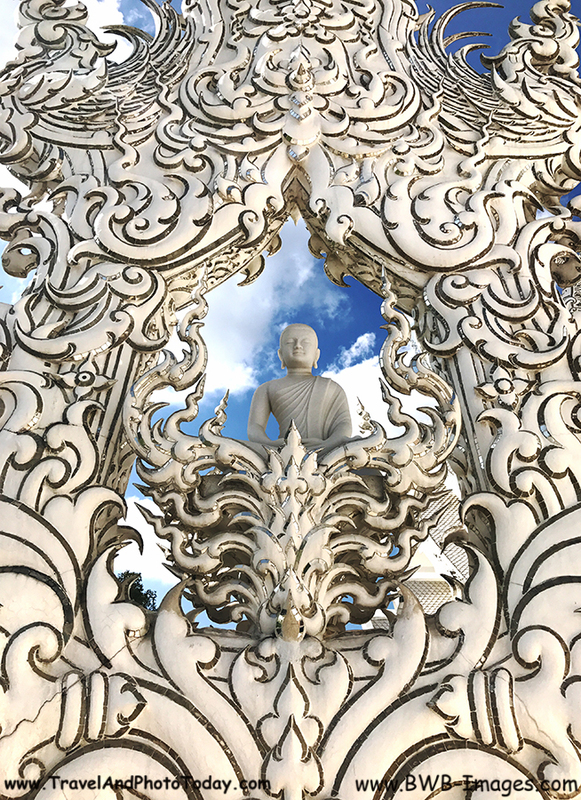 The White Temple and Chiang Rai are 428 miles north of Bangkok, Thailand. The drive takes about 10 hours but it’s only a short 1 hour 20 minute flight. From Chiang Mai you can easily catch a bus for the 95 mile ride north to Chiang Rai which takes about three hours and costs a mere $7.22. 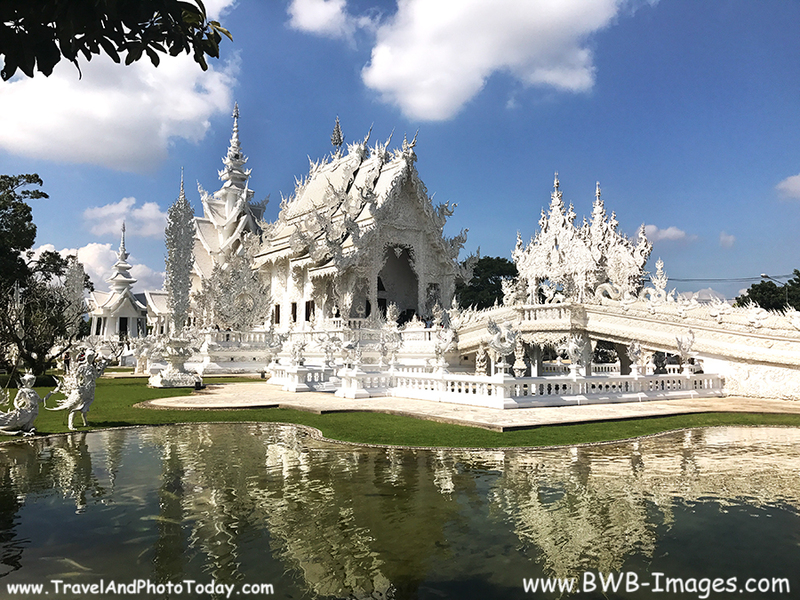 Explore The White Temple of Chiang Rai ……………. Enjoy the Adventure! Want More Great Articles About Thailand?